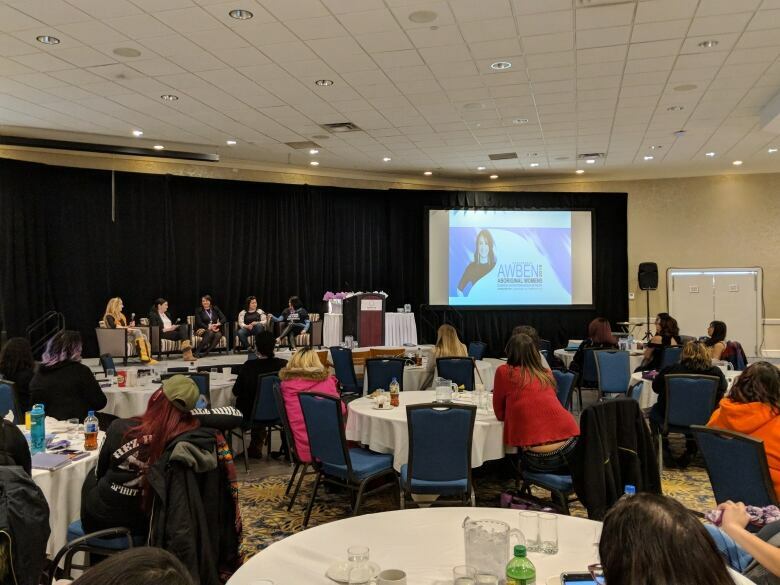 Indigenous women turned emotional hurt into motivation at a business conference in Saskatoon on Friday, where the issue of racist comments following the Gerald Stanley trial verdict permeated discussions. 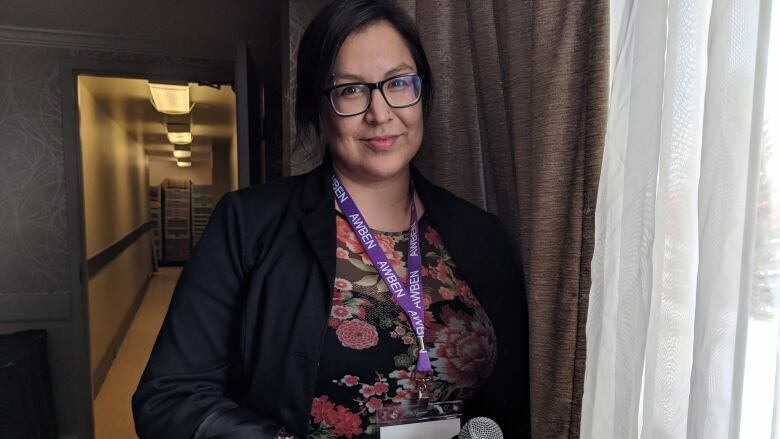 Saskatchewan entrepreneur Trisha Gardypie said the success stories shared by the speakers were needed at a time when Indigenous women are feeling the impact of racism in Saskatchewan. "Just to be successful and to empower one another and just to keep fighting … fighting hate with love, loving what we do," said Gardypie. "Doing that is uniting all as one to empower each other to keep going, keep lifting each other." 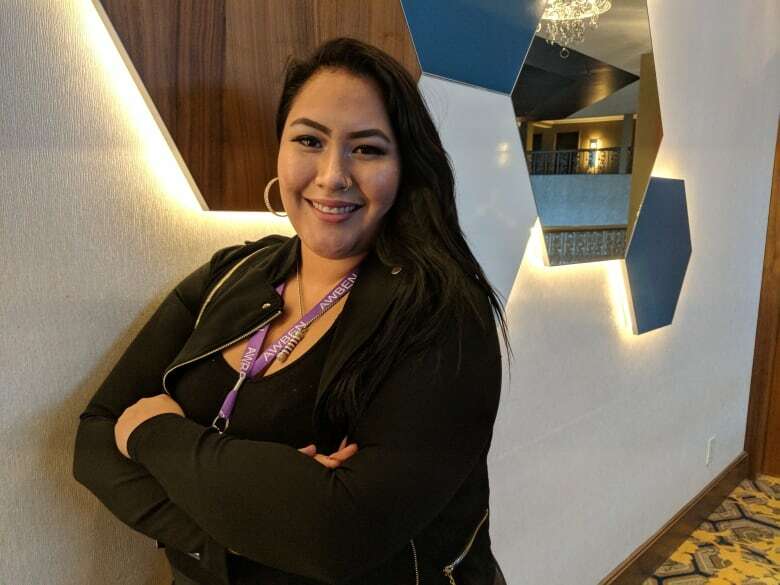 Gardypie was among the entrepreneurs who pitched business ideas at the conference, held by the Aboriginal Women in Business and Entrepreneurship Network. Originally from Beardy's and Okemasis Cree Nation, Gardypie and her best friend — both hair stylists —pitched their business idea for Saskatoon's first Indigenous hair salon. Speakers at the event included Shaina Lynden, the owner of the Ryde YXE Cycle Studio in Saskatoon, and the founder and co-ordinator of Indigenous Fashion Week Toronto, Sage Paul. The program also included discussions with the owners of a production company, beauty line and businesses selling tea and apparel. Gardypie said the success stories would help guide her next steps as she and her business partner work to launch their salon. "It's very empowering and it's very inspiring, just to kind of lift each other as one right now, it's a great thing," she said. "Talk about perfect timing right now." The conference comes less than two weeks after Gerald Stanley was acquitted of second-degree murder in connection with the killing of 22-year-old Indigenous man Colten Boushie in August 2016. The case heightened racial tension in Saskatchewan, including racist comments that prompted then-premier Brad Wall to call for calm in the wake of Boushie's death. More racist comments have followed the verdict, including some that are being investigated by the RCMP. Event co-ordinator Heather Abbey said she is "walking in two worlds" as she tries to promote Saskatchewan as a friendly place while also seeing hurtful comments posted online, including some from people she considered to be friends. "We're seeing that a lot of times our story about something this positive gets shared last on the news. "Give us a chance, put us first, let people see that we're trying to better ourselves. And let people see that we are bettering ourselves. We're people, too, and we're overcoming so much." Abbey said that although the comments were being felt by women at the conference, the overwhelming feeling was the drive to succeed. She said Indigenous women who want to launch their own businesses come up against unique challenges, such as poverty and lack of opportunity. Abbey said women who live on reserve often cannot access loans because they do not have a mortgage to use as collateral. Others struggle to keep up with household bills as they juggle their studies with a low-paying job. Misconceptions and prejudices stack the odds against Indigenous women, too, Abbey said. Abbey expects the women who participated in the conference will continue to support each other in what she said was a difficult time. "Tomorrow I need to show them [children] that I'm a strong Indigenous woman and tomorrow I just have to keep living my truth and being a role model for all those other Indigenous kids, all those others that haven't figured out their paths," she said. "Because they look up to us and they need us and they need everyone here in this conference to be strong for them to bring this love and this feeling of worth back to our communities."